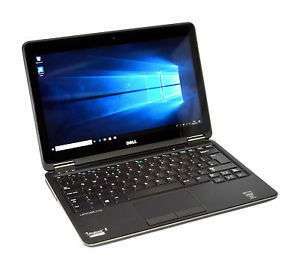 2014 manufactured Laptops, Is it worth buying? Any other suggestions please? I dont think these are great deals, i ve yet to see a good deal from these tier guys... majority of their x1s are highly graded, pressure marks on the screen is a nono, also you dont know the battery life either... deep damages and keyboard worn out etc... yeah they ll add up to substantial repair/replacement costs if you were to do... it s not worth it! also there is one more thing about x1 line up, there are just way too many of them dumped in the market! If you used my link you could see they are about the same in speed. That i5 was a fast 35 watts chip. This is a modern ULV 15 watt one. serious question though .... is it better? Ok that’s a nice saving and looks simple to install.Should be ok to use different RAM manufacturers shouldn’t it? I found I had 8Gb Kingston HyperX RAM just lying around, so upgraded with that plus the 4Gb Kingston already installed = 12Gb so more than happy with that as it flies. However, I think 12Gb is overkill for what we use it for so might leave the 8Gb and sell the 4Gb! I have just tried to use a data sim in mine and it wouldn't work, I took the cover off the base and the wiring is there but the card/adapter has been removed. I have contacted Blackmore IT and they are sending me out a card to install myself. Holding back for the eraser big gun insane madness pro model. yeah I was there 2-3 months ago. In fact were it not for the 2017 model keyboards + lack of updated 2018 non-touch bar models I would be using a macbook pro. I'm grateful to be using the X1, it really is quite an incredible laptop check it out. Fair enough, I had heard it wasn't too bad on 2018 version but obviously not the case. I was seriously considering the boot camp/parallels option. Okay. I'll look more closely at the x1 Carbon. Had ran out by the time I got to it but I managed to nab one of the i7 / 16gb RAM / 512gb SSD units for a smidge over £800. Delighted with that, thanks for alerting. Expired, I think there were 3 or 4, I nabbed one and others got the rest! Worth reading the comments. Quite a few Spaniards complaining of being caught by customs, since the seller is labelling the parcel as "electronic goods". A Russian mentioned the customs label contained the "right price" whatever that means. A French buyer also had to pay import VAT. I would budget for the VAT before ordering. Looks like this is not coming in as a gift or low value item. [quote="op"] "sports the newest generation Gemini-Lake N4100 that comes out as a 4382 on cpubenchmark.net when ran on the unit" [/quote] shows up. as 2333 on cpubenchmark.net not 4382???? Got this to go into basket at $229.99 via 4 vouchers: 10, 6, 3 &amp; 1 (latter an AE one, 1st 2 seller ones, no idea about 3rd). Not bad with 11.11% Quidco. If only it had 8gb. Decisions. 11/11 has been very disappointing for this type of relatively well spec'd netbook. I see it now via the options. So the cheapest one is just a 64GB eMMC - no M.2. Decent prices but the extra 32GB eMMC is fairly pointless if you're adding an M.2. Yes, my bad it does have a USB 3.1C port. What i meant to say was that the USB 3.1C doesn't support Thunderbolt 3. Not a deal breaker in the context of this package especially as it already comes with a decent range of ports and connections. Many thanks topazz for your answer, but there is a usb type C next to two usb 3.0. My son bought one last week and is pleased with it. Yes the keyboard is illuminated, also comes with a fingerprint reader, smart metal finish and full HD screen. 8gb ram is a useful step up from the typical 4gb. Core i3 CPU is fine for surfing, streaming, social media and light to medium productivity stuff. Not recommended if you are planning to do CPU intensive serious video editing with large files etc. Screen is ok but not the brightest (fine indoors) and no usb C but a lot to like at this price point. Very overpriced for old tech. Ice cold! Never miss a 'Ultrabook' deal again! "Save an extra 10% using code PREP4XMAS at checkout !" Code brings the price to 362.10 Just bought one for myself. Thanks @davescouse for bringing this to my attention. Quite interested in this deal anyone got a working 10% code? May I ask which model she bought? I've been on that link and the cheapest i7 is £729. If you found an 8th gen i7 2 in 1 for 600 then that's a steal! Finally got my refund from ebuyer. Summary is that it's a nice enough machine for the money but the one I got had a dodgy fan and hinges that didn't work properly. I didn't really like it but if you're after something that specifically matches the spec then it will be fine for you. Hope everyone else is getting on fine with theirs? I got my W10 up to 1803 last night, just stuck on NF and changed the screen timeout to 1m but kept the PC on permanent and nursed it through. Bought some screen protectors last night as I intend to use the tablet portion quite heavily. For anyone wondering the Inateck MacBook sleeve on Amazon protect this. Also grab some Quad A batteries for the stylus. I'll give my first impressions, I got one of these today, updating windows as we speak (top tip:- it's probably quicker to DL the latest pro on a USB stick and boot off that) I've never spent this much on a laptop before but due to my job income in contact with all the usual suspects, spectre, surface, cos etc is this better, can be sure yet, seen an XPS 13 today and they are so plasticy!. Looking forward to using the pencil and the tablet portion on the sofa. I've setup Windows hello and it's great, Need to buy a screen protector, I bought a MacBook sleeve to carry it around in, looks like they are no cases, this I think due to rarity and also the full rotating hinge which would foul any case. Oh well will just have to look at the chassis. With all due respect Michael, you can't compare a laptop against a 2-in-1. I was working in my laptop yesterday and it hit me just how unbelievably happy I am with it. It's been 6 months now and this laptop performs so incredibly well. I got it directly from BlackmoreIT's website for 371 all in. I'm thinking I should have bought another one for my Mum. I just bought one from BlackmoreIT. Before I did I called up and asked a bunch of questions. They were more than happy to answer. I paid for the laptop Thursday around lunch and it arrived at 2pm the following day. It also looks nearly brand new. Damn chuffed tbh. Has anyone found it necessary to load any Dell-specific drivers or does Windows 10 cover all requirements? If Dell drivers required, is the automated system on the Dell Support pages the easiest method? I checked with Dell, and mine is actually covered with on-site warranty until 2020, which is quite a nice surprise. Only negative so far is the camera isn't the Windows Hello compatible one, and the fingerprint reader is rubbish, but other than that I'm made up with it for the price. Mine is just installing now, looks brand new, not a mark on it - even smells new.No touch screen if anyone was still wondering. I've bought four of these for my workplace and they all have ghosting. Fortunately the majority of the time they are used with external monitors so the ghosting isn't really an issue but I would be interested to know if there is a fix. Bought one of these the other day and getting the screen ghosting effect. Any fix for it? Other than the above and needing to get used to the keyboard used and the touch input , I am really enjoying this device. I got mine with 4GB but added an extra stick from my old Toshiba to make 8GB plus installed my own copy of Windows 10 so saved £36. Works a lot better for it's age than my old Toshiba Satellite did, and that cost me £200 brand new back in 2015/16. It says £849 for me. Has the price increased? Will this play 4k movie files (hooked up to my tv via hdmi)? My current laptop stutters and struggles to keep up with playback. It is nearly 4 years old now though. Also does anyone know if the Ram is upgradable on this? Hi there, you didn't happen to have any issues with your touchpad did you? I may have just pulled a poor unit. The laptop itself though, as you say, is gorgeous. Yeah that’s the one, it’s a v good game machine. It can do AC Origins on high nicely, which is all I really need. It’s small things that add together though like discovering the Dolby atmos when I put on Netflix, the fingerprint reader is flawless and the face the screen lays down flat so I can prop it up like a tablet in a raised laptop stand. I have used a lot of laptops but this machine deffo the best. This has a plastic shell not metal, the webcam is at the bottom of the screen and the wifi I believe is only 2.4ghz, it doesn't say if the screen is IPS or TN. Another option is the 3L Pro from their Italian store, then add a M.2 SSD yourself, that way you avoid possible customs and get a metal case. The screen may be IPS according to others on techtablets. You will get dual band wifi but the bios is locked. I bought the EZbook 3L just before xmas, No vat or duty as arrived quickly via Germany, not sure how they get round that Does the job as intended, only gripe, USA keyboard and charger was USA with a very small jack plug. and USB3 and 1.3kg, however the processor passmarks at 1833, which is poor. 256GB is generous but probably unbranded and basic.Unclear if the screen is IPS but would guess not. Someone tell me how the VAT &amp; duty on this works - normally at this price, duty and vat adds 25%, however it seems you can order shipping from Germany to UK and the price doesn't change ?? Any experiences doing this ? Think of it another way, this device has a slower, fewer cored cpu than the average budget smart phone. 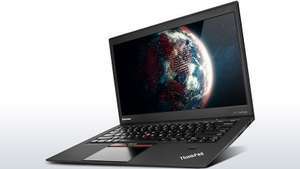 HD screen, decent amount of RAM, SSD drive..... What's not to love? Surely the processor will handle standard tasks? Ebay/ gumtree if you’re in london. Look for hp 840 g2 and you must find it. Hi. How/where are you selling your G2? Looks interesting. Thanks. Paul. Same experience here. I had xps from work and was ok 1st year. But later it was a mess and crashed and usb port had problems. Company now uses macbook in 2 years and not a single slowdown yet. To interact with the laptop. Same as any other input. I've had this laptop for a while and would thoroughly recommend it. I'd say an XPS 13 is the best laptop you can buy right now. I know they are gone now, but how much do these go for normally? Finished reading a couple of reviews and sold out before I got chance... sure there's a saying about snoozing..? Haha, someone bought all 7, good lad!
? No it boots up in a second....?! Instant on I would say or similar...! *[disclaimer] may take more than one actual second to boot*. Yes the fan is on all the time, you can hear it an a quiet room. 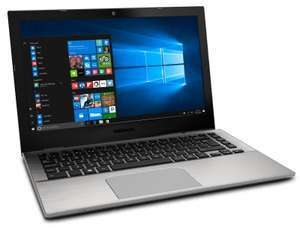 Different specs but a comprehensive review: https://www.notebookcheck.net/Asus-ZenBook-UX310UA-7500U-Full-HD-Laptop-Review.202608.0.html Take a look as they may well have reviewed the QHD+ Touch screen version as well which will have worse battery life for sure.